The odd thing about travelling by canal is that we use a whole different set of places to identify where we are compared to road travellers. 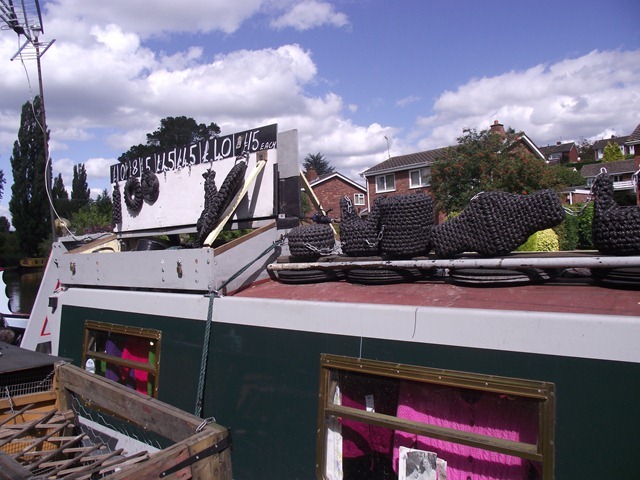 I made several phone calls today, to try to arrange to meet friends who live vaguely in this the area over the next few days and found that they had never heard of canal landmarks like Great Haywood Junction or Tixall Wide so had to settle for “We are somewhere near Rugeley! Tixall Wide, by the way, is a broad stretch of the canal which looks more like a lake, demanded by the owners of Tixall House so that the canal didn’t spoil their view! Well the canal is still here, but the house isn’t, anyway this is where we are moored for the night. We had a relatively early start this morning to go down through the two locks to Penkridge where we stopped to get some provisions at the Co-op in the village and enjoyed a cooked breakfast to help us on our way onwards. We passed under the M6 and arrived at Teddesley Boat Company for a pump-out of the loo, (£20 and no reduction for providing my own ‘blue’ well green actually!!!!) but we had little option as the yards we passed on Sunday were closed, the BW pump out machines needed a card which we didn’t have and after we bought a card at Bratch we didn’t see any more of their machines! Doh! We also visited Midland Chandlers there too and bought some odds & ends. The next village was Acton Trussell which had a lot of recent canal-side housing some of which had very attractive gardens. 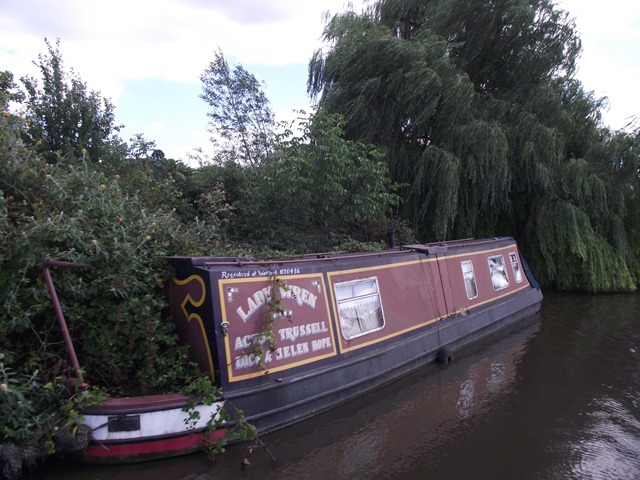 Here we caught sight of a poor little narrowboat called Lady Wren almost overrun with brambles at the bottom of a garden. Perhaps ill health had overtaken the owner? 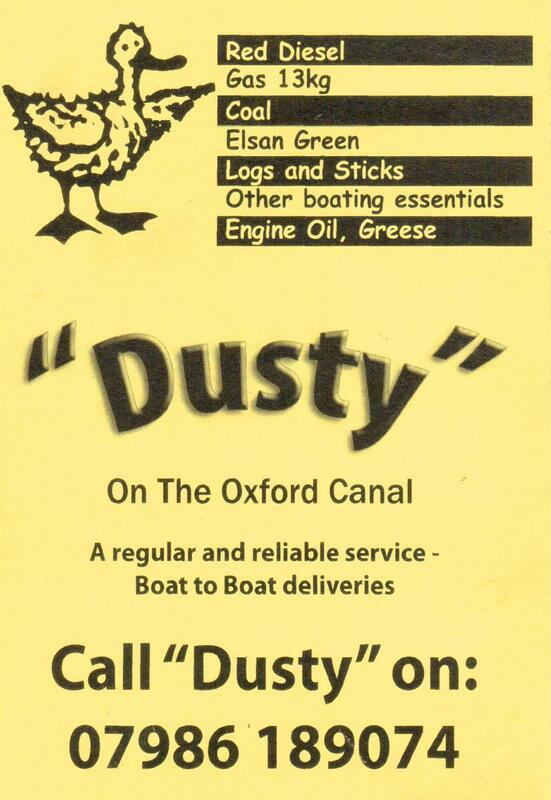 At Baswich we caught up with the guy, complete with dog and chickens, who makes rope fenders on his boat and bought a new bow fender as ours was a getting a bit thin from years of contact with lock gates. He fitted it for us too and all for £30 less than Midland Swindlers (sorry Chandlers) wanted just for the fender. We debated whether to moor up before Tixall Lock but the gent at the lock house persuaded Joy it was so pretty in ‘The Wide’ we decided to stop there on his promise we might see Kingfishers and managed to find a space amongst the others with the same idea. The camera is poised ready in hope spotting one!